A museum that worth to visit & quite interesting, appreciate to food artist that apply moral values in their presentation, well done! 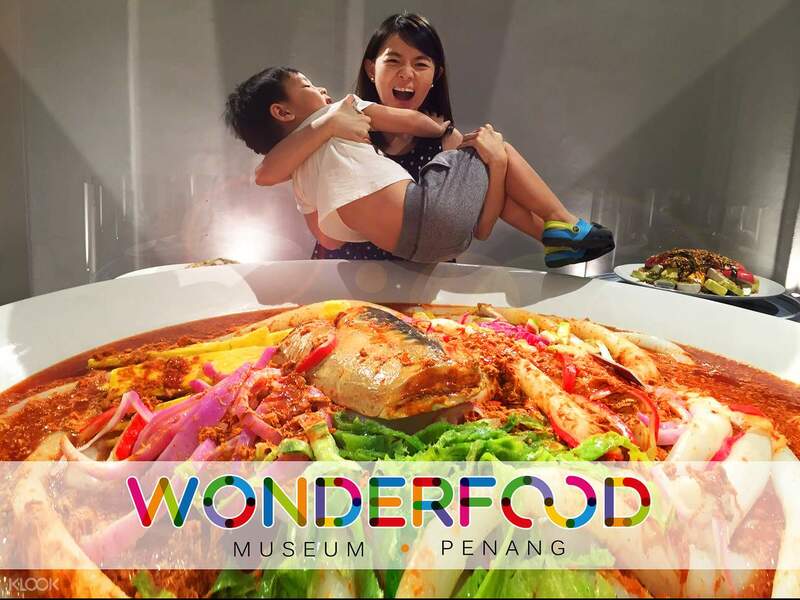 Explore one of the most original museums in the world while traveling in Penang — the fascinating Wonderfood Museum featuring giant displays of traditional Malaysian dishes. Located inside Georgetown’s 1940s colonial building, the museum invites you into the world of super realistic models of popular dishes handcrafted by the museum’s owner using food replication techniques from Japan. There are three galleries in the museum for your to discover: Info Zone, Wow Zone, and Educational Zone where you can learn interesting facts about Malaysian cuisine, cooking methods and see international delicacies from Indian, Chinese and other cuisines. "Awesome" If you want to get to know more about Malaysia's food, this place is a must visit.I love the big replicas of their food. They looked real. The staffs were nice especially at the 1st floor, they answered my queries well. I like how approachable they were. "Awesome" If you want to get to know more about Malaysia's food, this place is a must visit.I love the big replicas of their food. They looked real. The staffs were nice especially at the 1st floor, they answered my queries well. I like how approachable they were. It's truly a wonderfood experience in Penang! The place is clean and cosy with lots of food arts around with details! It's the perfect place for day fun here with family and friends! Worth to visit if you're here in Penang! It's truly a wonderfood experience in Penang! The place is clean and cosy with lots of food arts around with details! It's the perfect place for day fun here with family and friends! Worth to visit if you're here in Penang! It was so amazing. A lot of Malaysian Food inside Wonderfood. They will make you feel hungry after you out from there :) Using Klook with promo code, make a Wonderfood journey become Wonderful :)) Thanks Klook.. It was so amazing. A lot of Malaysian Food inside Wonderfood. They will make you feel hungry after you out from there :) Using Klook with promo code, make a Wonderfood journey become Wonderful :)) Thanks Klook..
Really an amazing museum! The display food looks so real! Really a unique museum compared to others. We took a lot of photos and spend quite a long time here. Don’t forget to buy your ticket from klook and look for discount code because it will be really cheap! Really an amazing museum! The display food looks so real! Really a unique museum compared to others. We took a lot of photos and spend quite a long time here. Don’t forget to buy your ticket from klook and look for discount code because it will be really cheap! Highly recommend to purchase from Klook, definitely cheaper than walk in, but you need purchase 1 day before coz it wasnt instant confirmation. But we still get out ticket few hours later after we booked,easy redeem, just show mobile voucher at the entrance and in. The display food inside were so real and epic, we spend quite some time inside, and take alot photos, its really worth. Highly recommend to purchase from Klook, definitely cheaper than walk in, but you need purchase 1 day before coz it wasnt instant confirmation. But we still get out ticket few hours later after we booked,easy redeem, just show mobile voucher at the entrance and in. The display food inside were so real and epic, we spend quite some time inside, and take alot photos, its really worth. 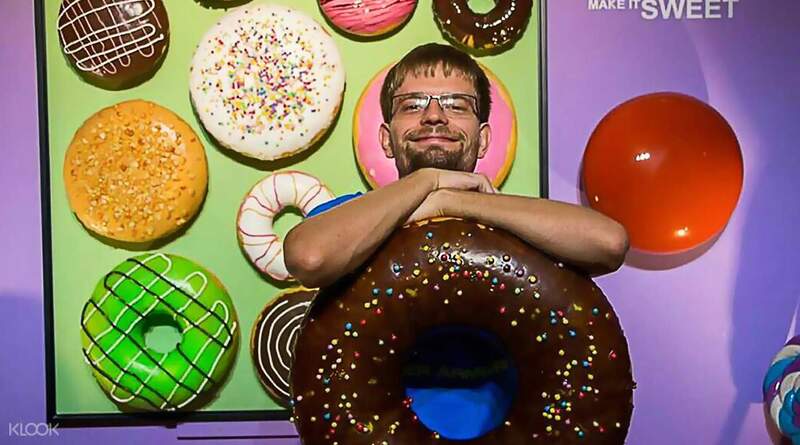 Good place and unique, my family also happy and want to come again next time. Recommended to visit. Thanks KLOOK. Good place and unique, my family also happy and want to come again next time. Recommended to visit. Thanks KLOOK. 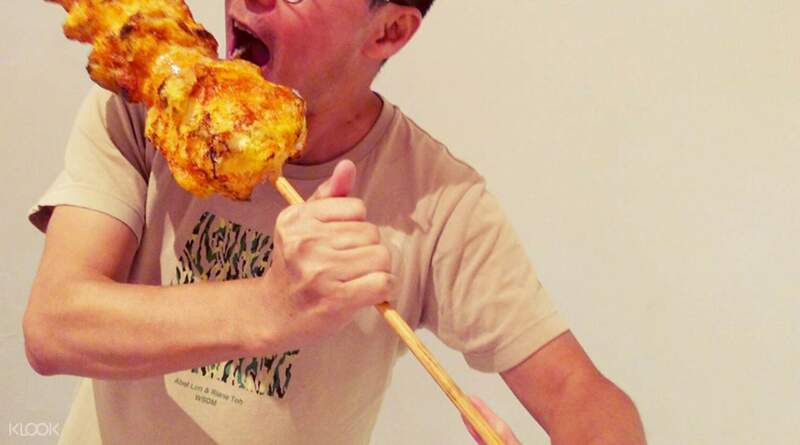 Great place to know more about Malaysian food and culture. There's a lot of huge food display and food facts that we learn. Great place to know more about Malaysian food and culture. There's a lot of huge food display and food facts that we learn. What a great experience. Thanks to Klook we saved a lot of money. And we had a great time to explore Malaysian food. What a great experience. Thanks to Klook we saved a lot of money. And we had a great time to explore Malaysian food. Nice.. Can become one of family activities when in Penang. Kids get new knowldge of the varieties of malaysian food by seeing the real copy of it. Nice.. Can become one of family activities when in Penang. Kids get new knowldge of the varieties of malaysian food by seeing the real copy of it.